1. Rule-58 of CCS (Pension) Rules, 1972 Undertake the work of preparation of pension paper by the HOO. One year before the date of retirement on superannuation or on the date on which he proceeds on leave preparatory to retirement. 5 Rule-60 of ccs (Pension) Rules, 1972 Completion of pension papers by HOO. 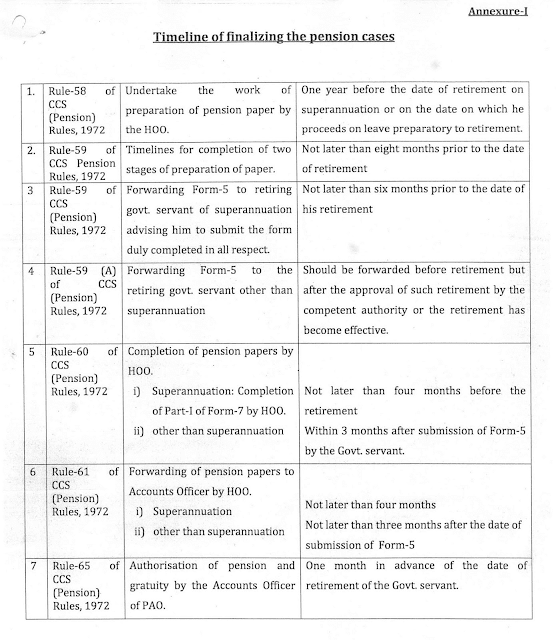 ii) other than superannuation Within 3 months after submission of Form-5 by the Govt. servant. 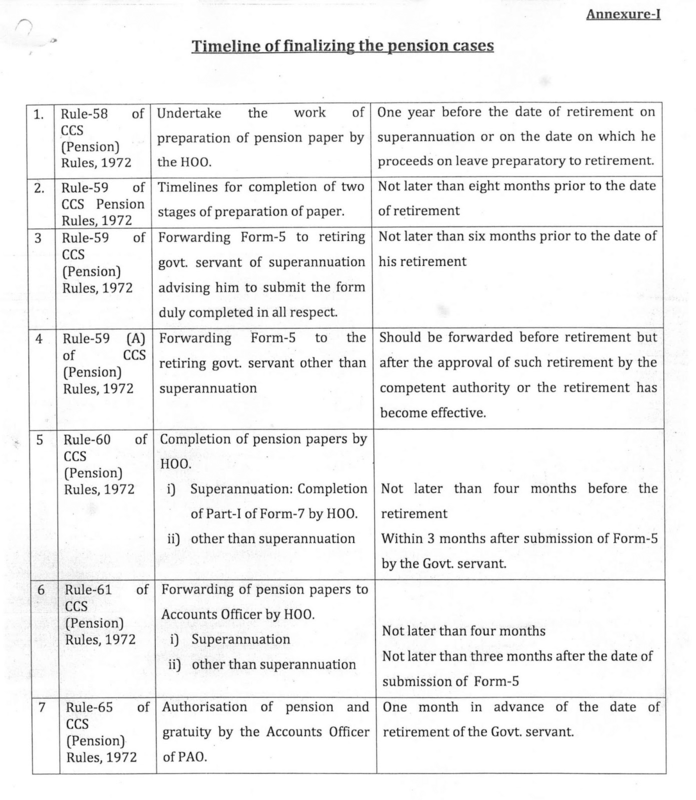 6 Rule-61 of ccs (Pension) Rules, 1972 Forwarding of pension papers to Accou nts Officer by HOO.